The 2018 season didn’t turn out the way safety Earl Thomas hoped it would. It came to an end far too early when he fractured his leg in Week 4, and the final moments of his NFL season featured him giving the middle finger at his own sideline. The injury was devastating, but even more so because of everything that had come before. Thomas, who was then with the Seattle Seahawks, had staged a holdout, missing training camp in an effort to get a contract extension and more job security. He sat out everything until Week 1, when he ended his holdout and took his place with the team. The Seahawks didn’t give him an extension and they didn’t find a trade partner, so Thomas was stuck playing out his contract with no security beyond 2018. After the holdout, a season-ending injury was the worst-case scenario. 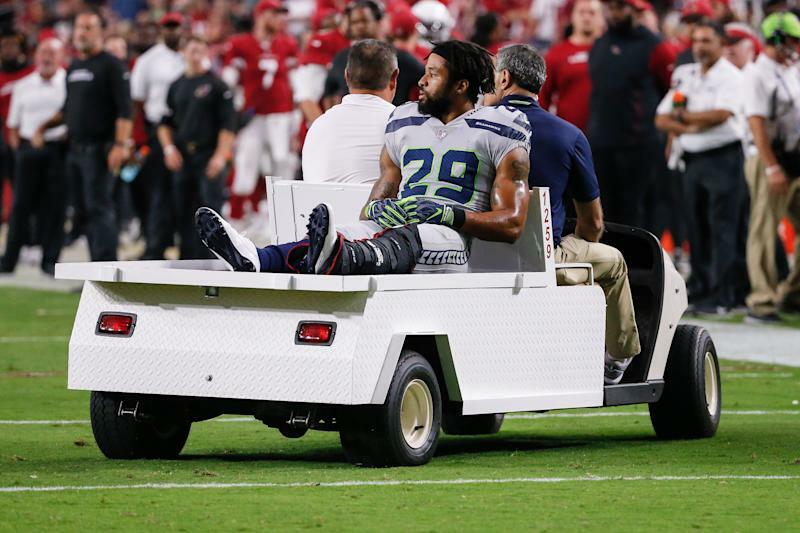 And Thomas felt that when he gave the middle finger as he was carted off the field. He explained to Peter King of NBC Sports what was going through his head as it was happening. Thomas, 29, told King that he continued to feel some of those feelings until recently, when he signed a four-year deal with the Baltimore Ravens. It’s for $55 million total, but with $35 million guaranteed in the first two years. That’s security Thomas was looking for, and much better than the one-year deal he had been prepared to sign before the Ravens came along. With a new contract and a new team, Thomas should have plenty of reasons to keep that middle finger holstered in the 2019 season.